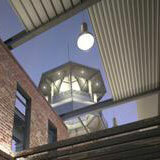 Welcome to Eurola – leaders in retractable weather smart systems! With the vision to always be the leader in the designing and manufacturing of architecturally engineered weather smart systems, Eurola continuously improve and innovate our products to exceed our customers’ expectations by delivering superior product quality, delivery and service. 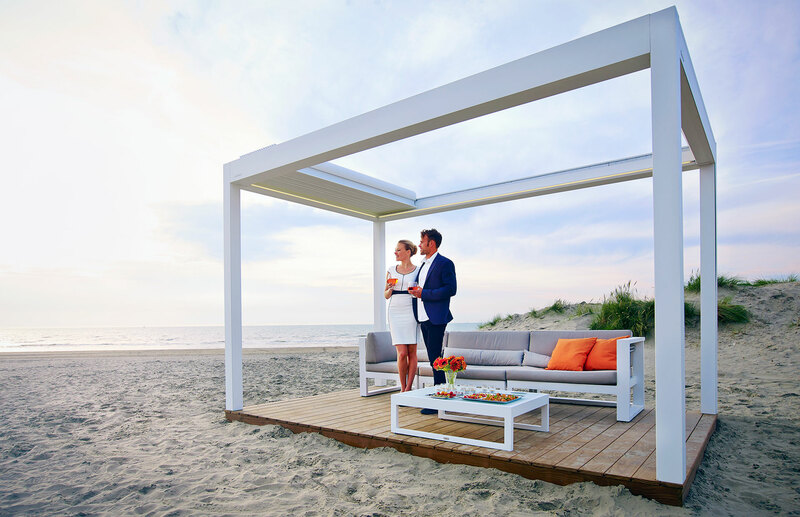 We are determined to change the stereotype of old fashioned, out dated pergolas and awnings and offer state of the art motorized products with unique characteristics to avoid unexpected obstacles and disappointment when wet weather or direct harsh sun get in the way of everyday life. If you are looking to create a perfect entertainment or dining space in your outdoors (whether at home/office). Eurola’s louvre roof systems are precisely engineered to withstand Australian tough weather conditions, including cyclonic areas. 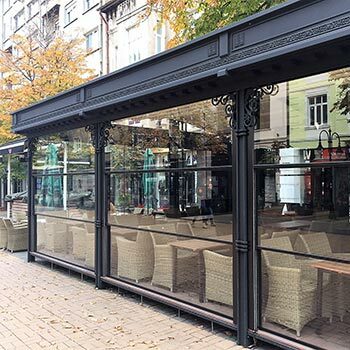 Panorama Glass Wall System, the new generational approach is designed with the aim to make people happier by transforming the open air area into a much more enjoyable place. 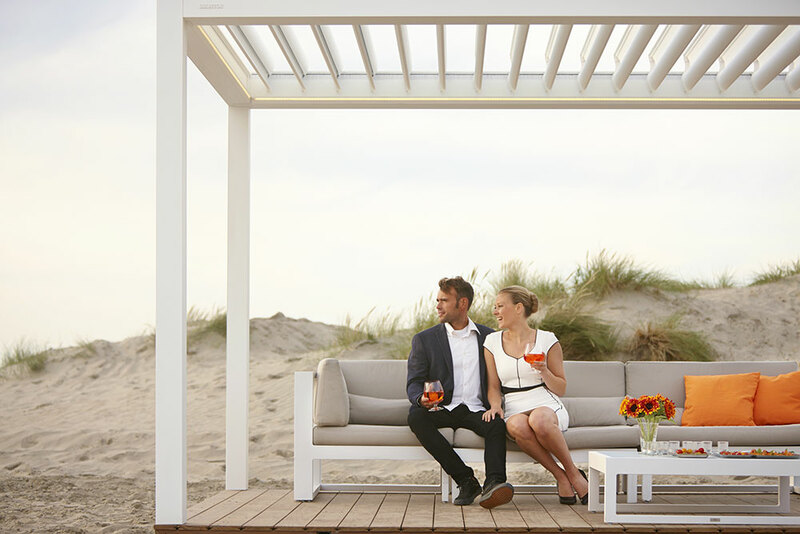 Our retractable pergola shade is ideal for you whether you wish to install a canopy type of coverage to your restaurant, beer garden, or just hope to create a relaxing outdoor space to entertain your family or friends at home. 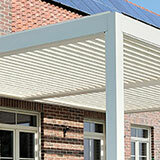 You can select from our extensive range of retractable awning for pergola systems. 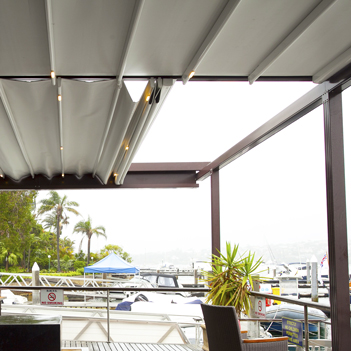 All Eurola retractable pergolas, external sunscreens and folding arm awnings are engineered as well as designed in Europe (Certified ISO 9001:2000 & CE Labelled) with a strong focus on the Australasian environment. 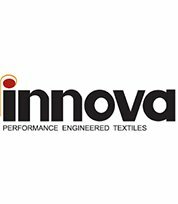 We are Australian manufacturers and distributors who use the latest design technology equipment and materials that allow customisation according to the unique needs of every individual project. state of the art motorised products with unique characteristics to avoid unexpected obstacles and disappointment when wet weather or direct harsh sun get in the way of everyday life. Helpful frequently asked questions which good give you a guide to how we can help and the treatments we implement in each case. How to submit your interest for Eurola products? Simply go to our ‘contact us’ and submit your contact details, product/s of interest and any documents/plans for our viewing. We will notify you that we have received your enquiry and will distribute this to closest Retailer near you. How to become a valued Eurola Retailer? To submit your interest of becoming a Eurola Retailer, please fill out our fillable form here with your all your company details and products of interest and a representative will contact you. 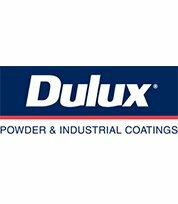 Does Eurola supply products internationally? 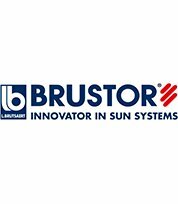 Eurola has worked globally to deliver our fantastic weather smart products world wide. 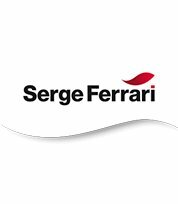 If you have an international project that you are interested in enquiring about our products please fill out our fillable form with as much detail as possible and we will consult with you exclusively. Do Eurola products have a warranty? We confidently stand by the quality of our products and Eurola offers warranties on all systems. Need a customised product solution? 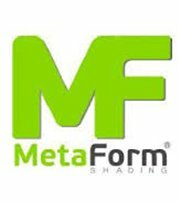 If you have a difficult design brief or would like to have our products customized to your outdoor area, we would love to hear from you to assist in creating a bespoke design solution along with the assistance of in house designers and 3D drawing capabilities. Does Eurola have a Display Showroom? Eurola has a showroom located in Kingsgrove, NSW that showcases our entire range of products. We can also forward you to your closest Eurola Retailer’s showroom. Does Eurola work with Architects, Engineers and Builders? 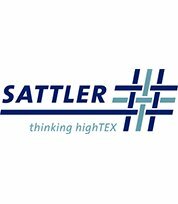 We are pleased to liaise and create working relationships within the construction industry. Please contact us with your enquiry to obtain our technical brochures for specifications on your product. Can you consult directly with Eurola? Every enquiry is filtered through us directly before we distribute your enquiries to our valued Retailers. If you wish to speak to a Eurola representative directly, please find our contact details here. If you have an interesting project or event function that you would like to possibly collaborate with Eurola, please contact us here. Where are Eurola products fabricated? All of our Eurola products are proudly fabricated in our Australian Factory using local and imported elements and components to bring you only the best quality products and service.